Once again we have come to what we consider one of the most important celebrations of the year – Mother’s Day! 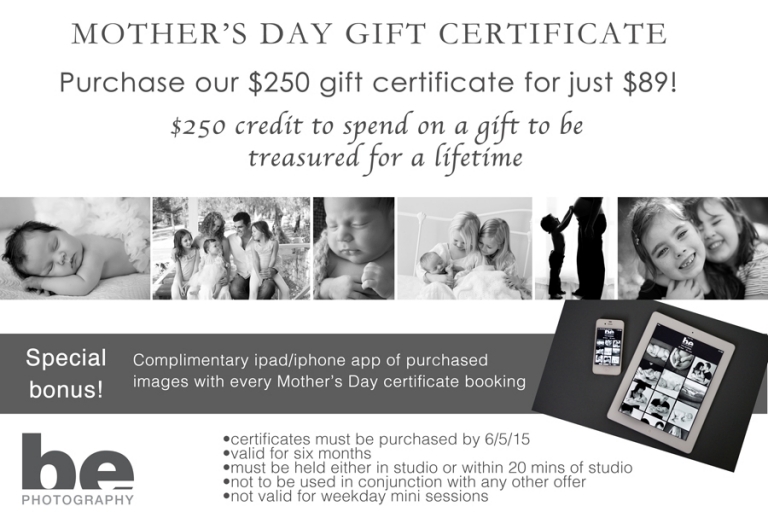 And once again we are offering our Mother’s Day special – a gift certificate for a session and prints/files, valued at $250, for just $89. As an added bonus, every session booked will receive all ordered images on a special iPhone and/or iPad app – yours to keep. The app loads on your device and can be emailed or sent to your social media, so you can share your gorgeous family with friends and family. Book and pay for your gift certificate below, but be quick, only 20 available.